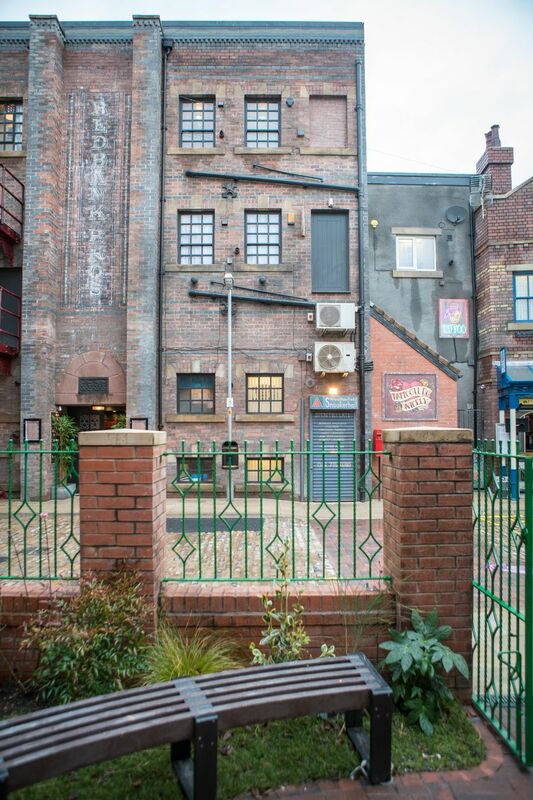 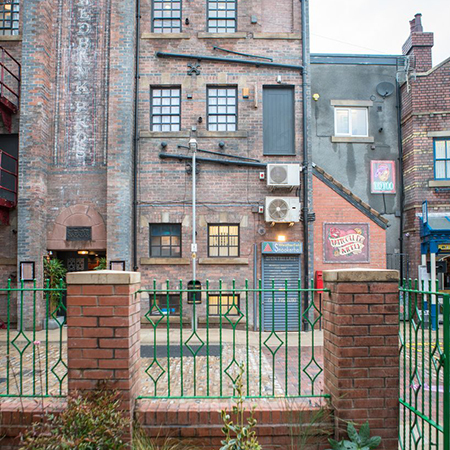 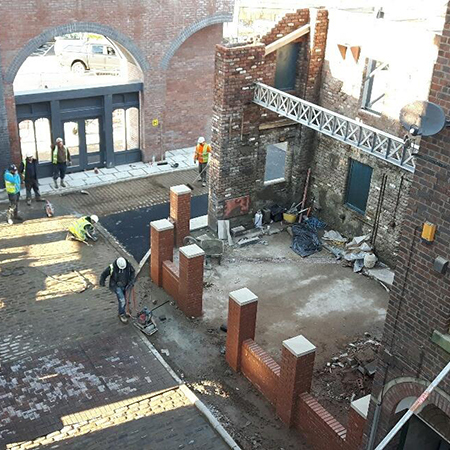 Brickfab have supplied the set of Coronation Street at ITV Studios in Manchester with two chimney stacks to literally top off the set construction. 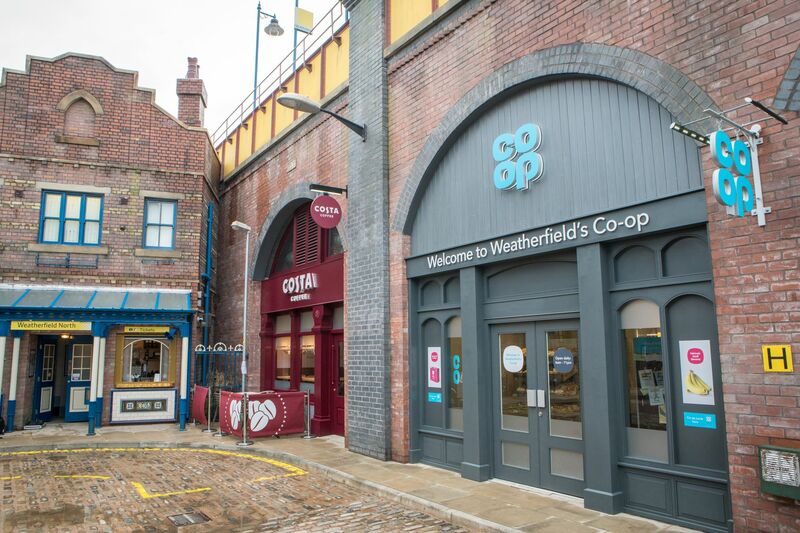 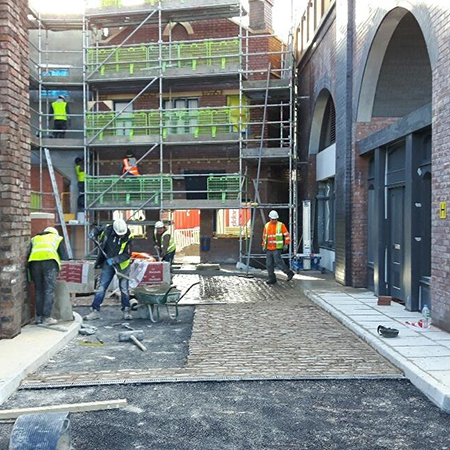 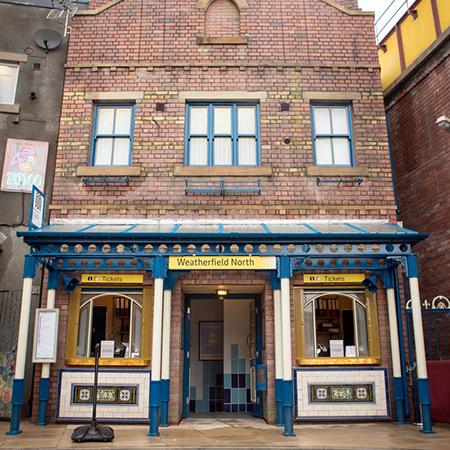 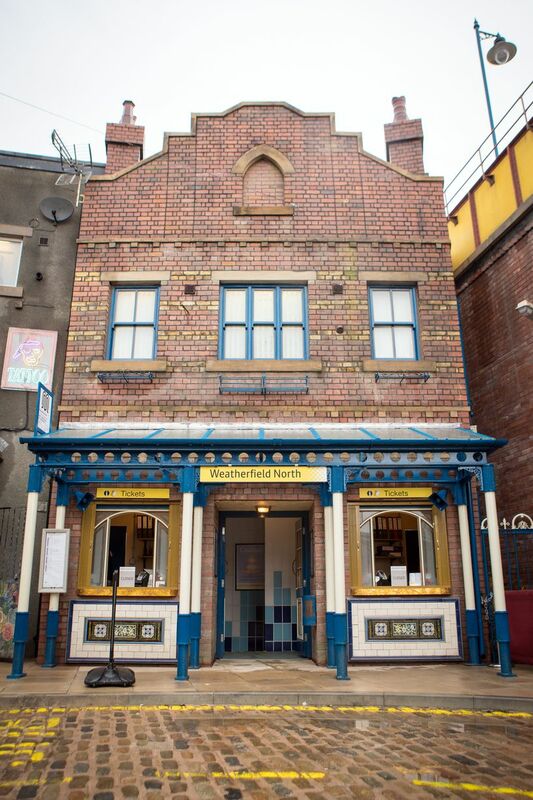 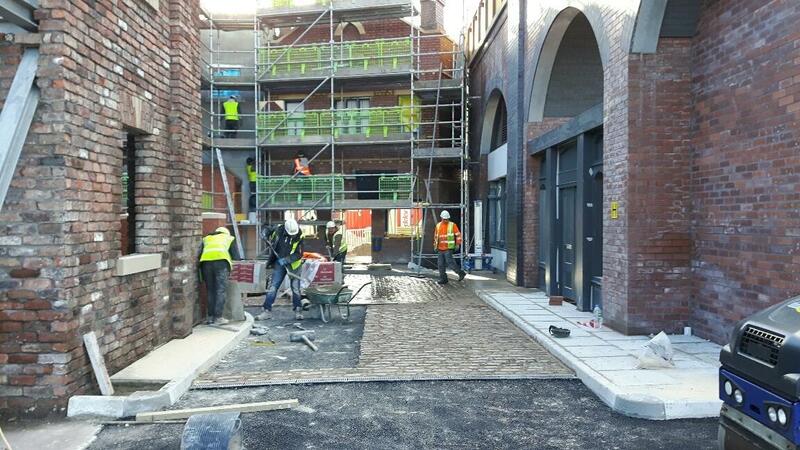 One of Brickfab’s clients, Seddon, had reclaimed 7,000 cobbles from the original soap opera set to pave Victoria Street – the latest addition to the fictional Manchester suburb of Weatherfield. 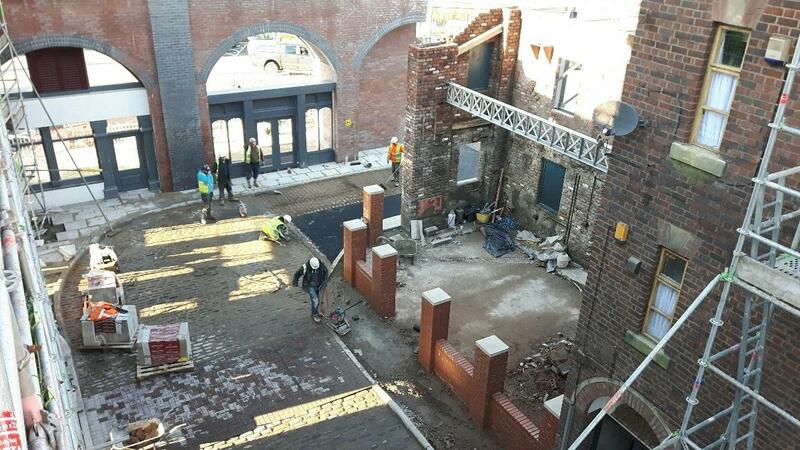 To extend the set, a total of 200,000 bricks and brick slips were laid, with 2,500 tonnes of cast stone, 6,500 tonnes of concrete and 350 tonnes of tarmac holding the extension together. 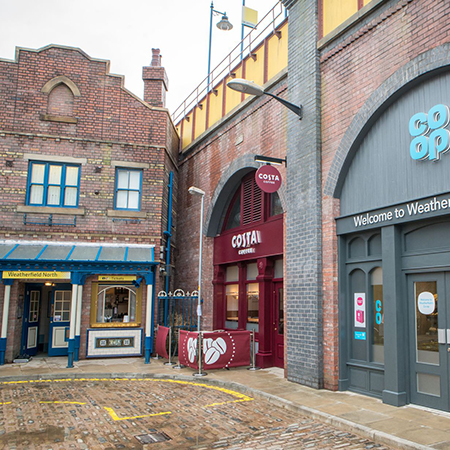 The project which included a tram stop, community garden and some shops, started in July 2017 and was first seen on air in April. 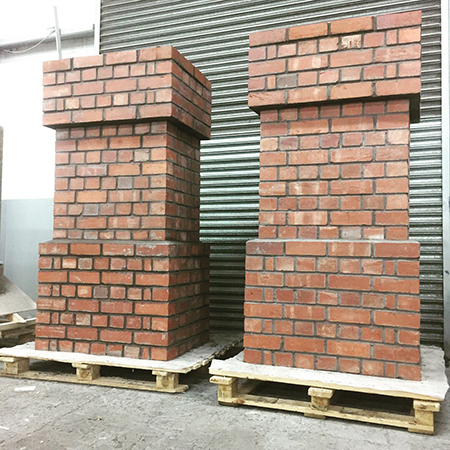 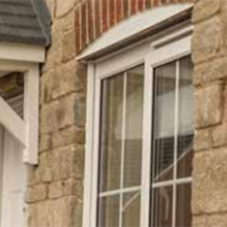 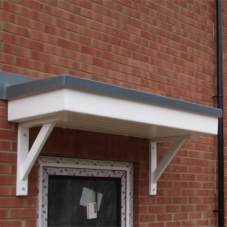 National Sales & Marketing Manager at Brickfab explained “The end customer had a very specific brief and fixing requirement. 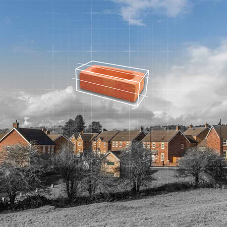 Whilst the chimneys needed to be prefabricated and capable of fitting to a steel frame, the chimneys had to look solid from the air above and the streets below using full bricks rather than slip faces.